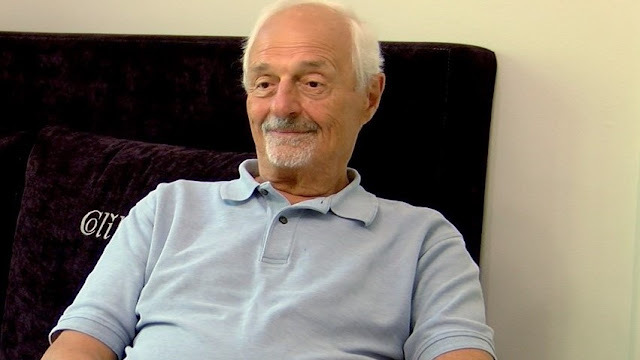 Ted Kotcheff is a Canadian director of Bulgarian origin. He is now among Hollywood’s big names - a filmmaker who has had a hand in so many genres. He got his start in Canadian and British television in the ‘50s and went on to direct films like Australian classic Wake in Fright (1971), Canadian drama The Apprenticeship of Duddy Kravitz (1974), comedies like Who is Killing the Great Chefs of Europe (1978) and Weekend at Bernie’s (1989), and action staples such as First Blood (1982) and Uncommon Valor (1983). He served for more than a decade as executive producer and occasional director of the crime drama, Law & Order: Special Victims Unit. Kotcheff has been awarded a Golden Bear in Berlin, he has two Palm d’Or nominations at Cannes and an Oscar nomination. The director, now 86 years old, was in Sofia for the launch of the Bulgarian translation of his autobiography "Director's Cut: My Life in Film." I talked to him about the life lessons he has learned during his long career. Ted, what have you learned about life till now? The important thing is to understand who you are. And that's always amazes me. In fact a lot of my characters like in the Australian film Wake in Fright or The Apprenticeship of Duddy Kravitz are people who do not know themselves. This is like a voyage of self-discovery for my characters. And I hope that in the process I could find about myself. First of all, I think it's very important that you enjoy life. To be capable to enjoy life. And also to use the best part of yourself - your intelligence and your insights. I am very interested in beauty, the existence of beauty - beauty of nature, beauty of art. Why is there beauty in life? It could be an ugly place, be black-and-white. But it's such a beautiful thing. the misery of life, the continual voyage of discovery about the nature of the existence of life. And the films are like voyage of discovery. And I think that's what life should be about - to find out about yourself. I think my hunger for love - that's one aspect of myself. I think I have never received it when I was a child. And I am hungry for love - both from men and women. My friends especially. What do you know for sure about life? One thing I know for sure is that it's a very difficult voyage. My father used to say to me: Ted, there are many roads to the top of the mountain. But you got to find a road for you to get to the top. I am not at the top of the mountain yet. But I'll send you a card when I arrive at the top. Do you think it's possible to reach the top? No, with certainty. You can reach a certain level, but not to say: That's it. Cause life goes on searching, searching for meaning all the time. It's part of life.